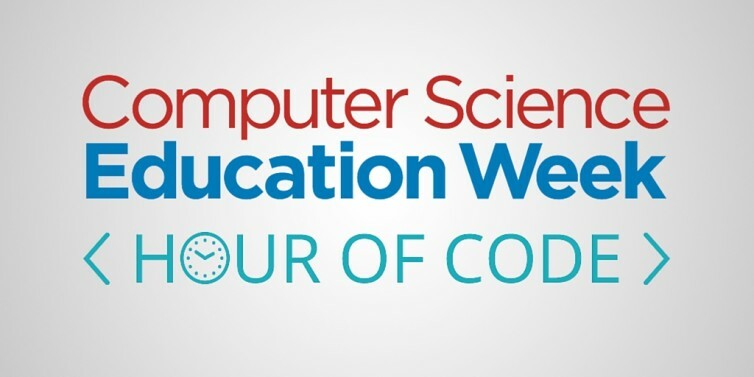 This week is Computer Science Education Week (CSEdWeek)! Originally designated by the US House of Representatives in 2009, each year students, teachers, researchers, and lifelong learners plan events to introduce, learn, and talk about computer science education. Computer science is the study of how computers are built and operate, how they can solve problems and compute, and how they manage information. It’s been around since humans started inventing mechanical calculators and the abacus, but it’s now one of the fastest growing fields in both research and careers due to computers appearing everywhere in our lives. You can take part right away by taking part in or hosting an Hour of Code activity, or you can just do one by yourself! Hours of Code are short sets of activities designed to introduce you to coding. Many are set as challenges to complete in order to start creating your own programs with simple, drag and drop coding languages like Scratch and feature recognizable characters. They’re a great way to spend an hour starting yourself off learning something new. At the SIUE STEM Center, we value new and exciting learning opportunities and support all kinds of sustained efforts to teach STEM and CS. If the Hour of Code leaves you wanting more, try out the Beauty and Joy of Computing or Code.org curricula. Both are engaging and research-based, and they both include opportunities to be trained on how to teach them! And while you’re learning about teaching computer science, consider taking some tips from the National Center for Women & Information Technology on how to recruit more young women into your program.